Please note that the top axis refers to the product category – that is, a set of products – not an individual product. Therefore, if Toyota was to introduce a new car, then that would still be considered to be an existing product, because they already offer and market cars. A product line extension is introducing a new product – that is similar to what the company already offers (that is, within an existing product line/category) that is targeting an existing market by using the current brand name. This is a very common approach in marketing. This is because the existing brand name has a customer following, and new products/variations will tend to be relatively well received by these loyal customers. We frequently see this approach with product sold through supermarkets channels, where you variations of tastes/flavors and packaging sizes have some appeal with the marketplace. 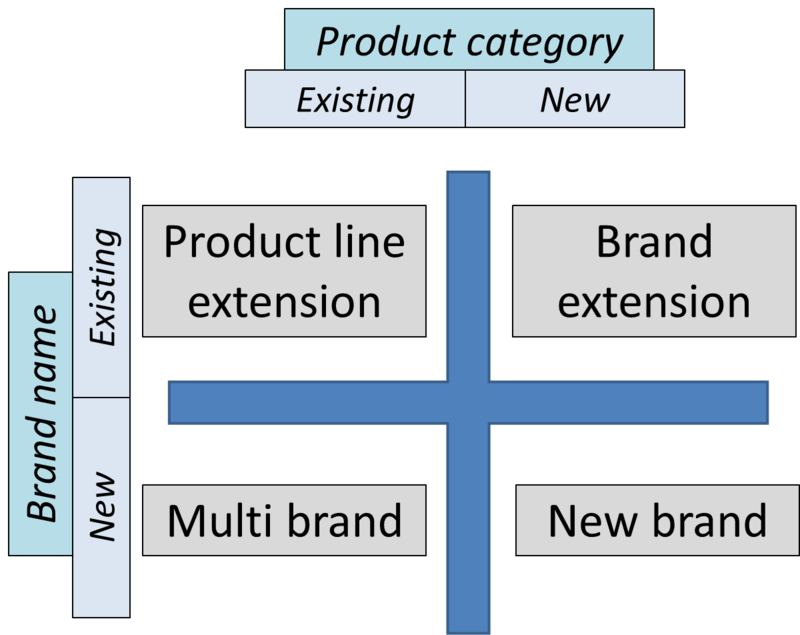 A variation of the product line extension above, is to run a multiple brand strategy within the same market. As you can see from the matrix, a multi-brand strategy involves having more than one brand competing in the same product category. Again this is a relatively common approach for large companies. For example, a manufacturer of frozen vegetables may have multiple brands – that to the consumer appeared to compete against each other – but have the same corporate ownership. The main reasons for this is that these brands can have different positioning in the market, dominate the overall shelf space, and reduce opportunities for competitors to enter the market or to win market share. The disadvantage of this multi brand strategy (as opposed to a product line extension strategy) is the cost and time of developing a new brand name successfully in the marketplace. 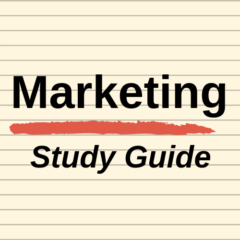 A brand extension involves broadening the market’s understanding of the brand. This is achieved by offering more products (of a different nature/category) under the existing brand name. An example of this in recent years would be McDonald’s competing in the gourmet coffee product category – effectively broadening the positioning of McDonald’s from fast food only to being perceived as also competing against Starbucks to some extent. Brand extensions they usually approached with care, as the market may not fully accept the brand’s expertise in another product category. As a hypothetical example, consider if the Coca-Cola brand was extended to shampoos and detergents – the market would see little connection and the overall brand would be damaged. Therefore, brand extensions work best if the new product category has some relationship to the brand’s existing product category and perceived area of expertise. The final brand development strategy is a new brand. A new brand occurs when the firm is expanding is offering – by developing a new product line that they haven’t not offered before – and as a result, need to build a new brand.